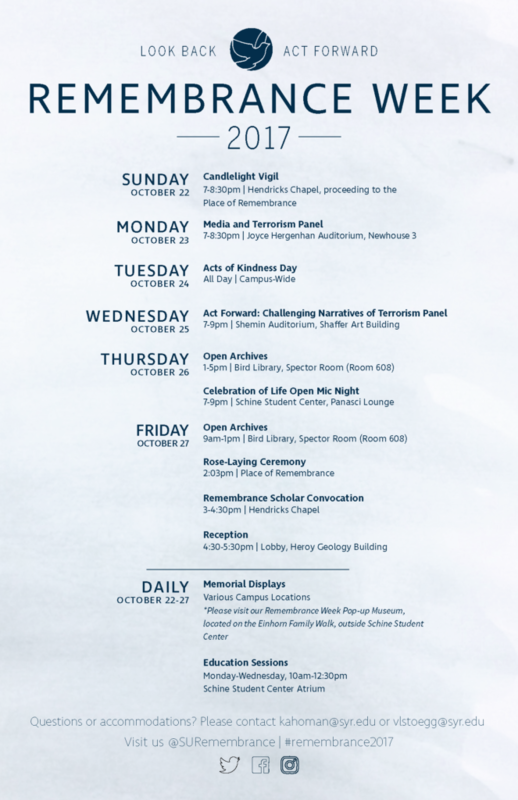 The Remembrance and Lockerbie Scholars have planned a series of wonderful events and installations for Remembrance Week 2017, beginning with the Candlelight Vigil on Sunday, October 22 and concluding with the Rose Laying Ceremony and Remembrance Scholar Convocation on Friday, October 27. The full schedule of events is available on our events page. Join the Scholars as they Look Back and Act Forward in memory of the victims of Pan Am Flight 103.